NTU Visual Arts Society News Blog: Subclub Meet and Greet Session! Subclub Meet and Greet Session! Want to know even more about each of the individual subclubs? Couldn't make it for our Welcome Tea? 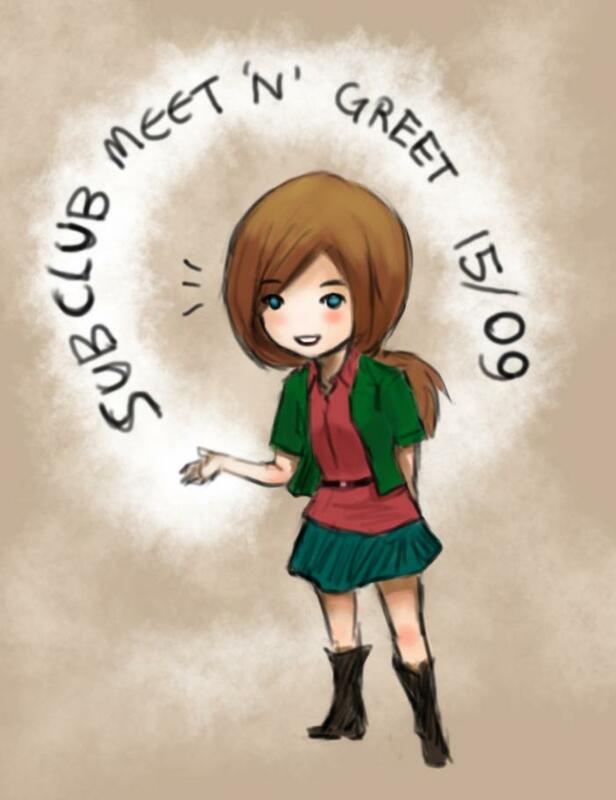 Then join us on the 15th of September, 7pm at Tutorial Room 10 for our Subclub Meet and Greet Session! What’s the difference between this and the Welcome Tea? This “Meet and Greet” allows you to observe what goes on at our typical weekly meetings. Get a feel of the everyday culture and activities of the Visual Arts Society Subclubs AnimeWorks, Comics Ensemble and Designer's Club! Here at the VAS, we both work hard and play even harder! Get to know people! We pride our subclubs as congregation points for people of similar interests. Meet and interact with fellow enthusiasts! You can even bring down bits of your collection to share with others. Share with us samples of your artwork or design portfolios! We strongly encourage you to bring them down as it'll help us in deciding the activities we'll plan in the upcoming semester. Give us your input! It'll help us in setting the direction and approach we'll take through the year! and Many, Many more activities! What will the new year bring for our subclubs? It's up to you, you have a say! So mark your calendars and make a date with us on the 15th of September. See you there! P.S. Tutorial Room 10 is in the North Spine, near the school of Mechanical and Aerospace Engineering on the 5th floor.